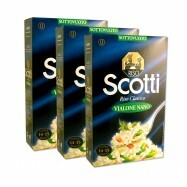 Buy Italian rice online from Levillage.com! 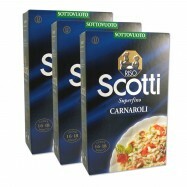 Our selection includes superfino Arborio rice, Nano Vialone rice and superfino Carnaroli rice from the Scotti brand. 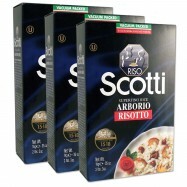 These short grains rice are among the three varieties used for cooking risottos with Vialone Nano being considered the best thanks to its properties to absorb condiments better and cook faster. Since 1997 this finest and healthiest rice can be delivered at your doorsteps within 24 hours.